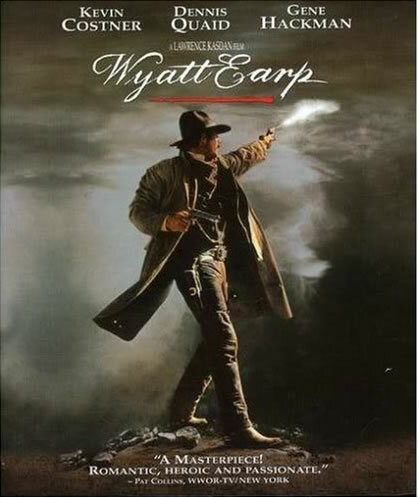 The spirit of the cowboy, evinced in brand identity. The notion of identity speaks to a holistic rendition of story — graphically drawn: sensately experienced. Brand identity is the nature of defining visually — as a start — then fully unfolding the layering of corporate storytelling. There are two tiers — one, the visuals, the brandmark. And two, the larger story — the identity designed language and messaging in a holistic manner that is wholly the out springing of the starting ideal. Identity, historically, speaks to the conceptions of “sameness” — and to brand, that idea is that in coming in contact with “brand” — enterprise — and there couldn’t be a more holistically leveled sense of experience. 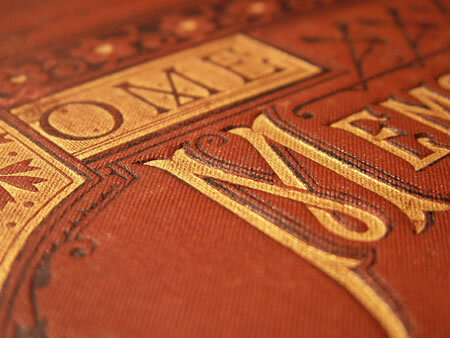 Doug Harper notes — the word comes from the Latin — idem; thence to the Late Latin, during the 5th century: identitatem (nom. identitas) “sameness,” from ident-, comb. form of L. idem (neut.) “the same.” And finally, during the emergence of the renaissance, circa 1560s, from MFr. identité (14c.) And what of corporate? The body, whole — from the Latin, corporatus, of corporare “form into a body,” from corpus (corporis) “body.” To that, brand — an ancient voicing of fire. The sameness — integration; the body — the wholeness; the brand — the passion of the telling. What bearing, on the nature of brand and the western identity? The link is to the holism of the character — the sameness, the body whole. The identity of the body — and that story that unfolds. I envision the character as adventuresome, resilient, enduring and hard bearing, the nature of the events of that world. Thematically, according to a wiki overview, “portrays the conquest of the wilderness and the subordination of nature in the name of civilization or the confiscation of the territorial rights of the original inhabitants of the frontier. 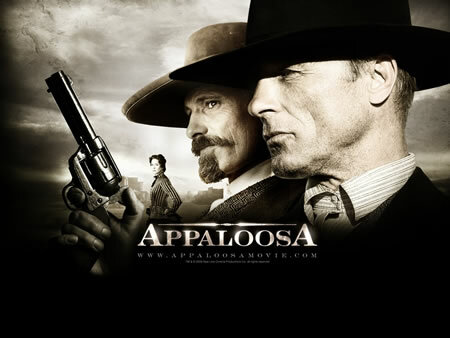 The Western depicts a society organized around codes of honor and personal, direct or private justice (such as the feud), rather than any rationalistic, abstract law, in which persons have no social order larger than their immediate peers, family, or perhaps themselves alone. 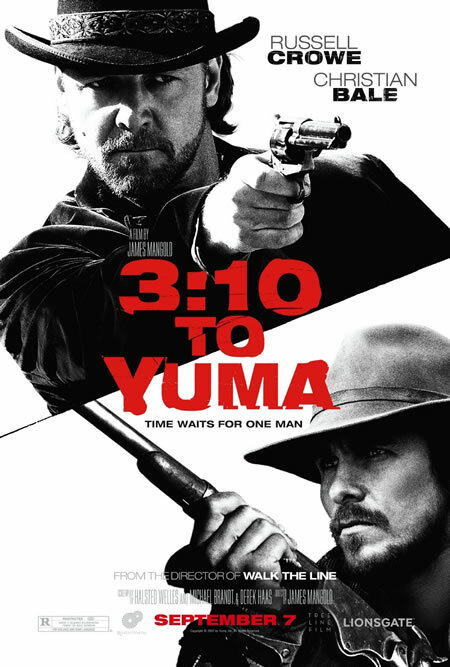 The popular perception of the Western is a story that centers on the life of a semi-nomadic wanderer, usually a cowboy or a gunfighter. 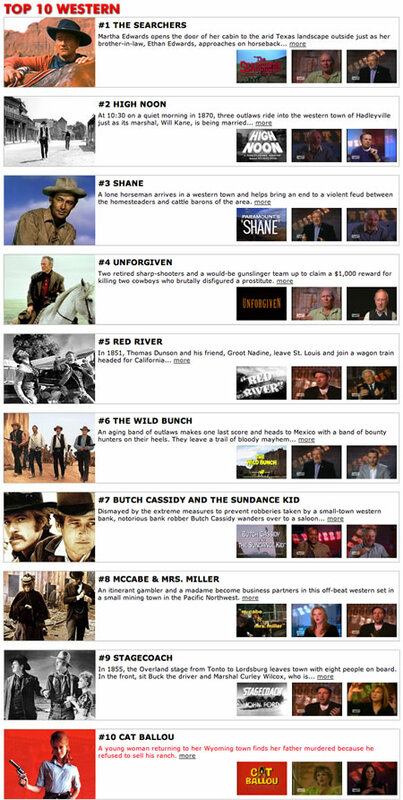 According to a listed winning tabulation of the American Film Institute’s best westerns, the countdown goes as follows — and this sequencing begins to frame the nature of storytelling branding — and the theatrical marketing — these begin to evince the quality of western identity visualizations. Each of these treatments begins to set the stage for the nature of the western brand imagery. 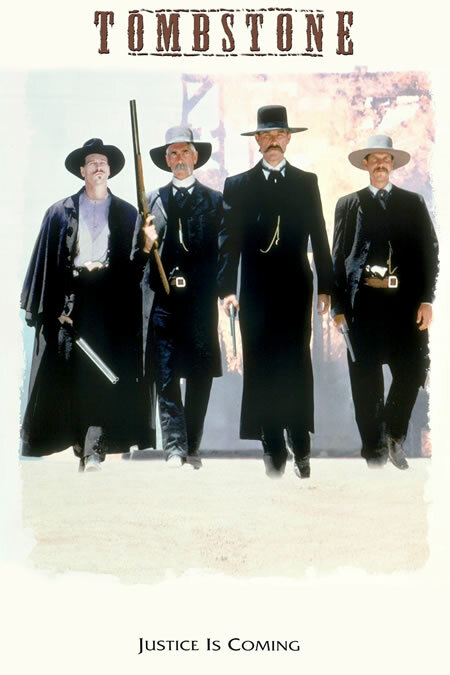 The wooden type of late 19th century — “The Searchers.” The angled perspective of “High Noon;” Paramount’s scrawled, capitalized “SHANE,” the carved scrapings of “Unforgiven;” the theatrical swagger of “Red River,” the brushed graffito of “The Wild Bunch;” “Butch Cassidy and the Sundance Kid,” the slightly off pitched (and off beat storytelling) of “McCabe & Mrs. Miller” — John Ford’s classic accelerated hand drawn font — “Stagecoach.” “Cat Ballou” — a cut papered font befitting the comedic impressions of that telling. There are palaeographic references — or typographic relevance — to the nature of these alignments. Many of the fonts bespeak history. 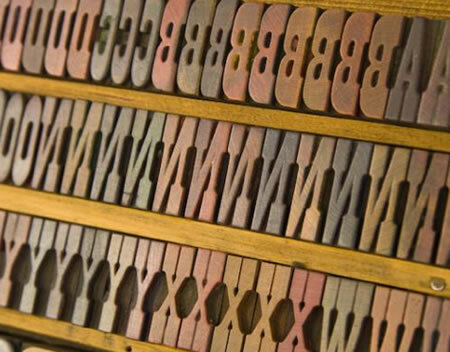 The idea of reaching back in time, to evidence the character of the Victorian letterpress, hand-carved fonts. 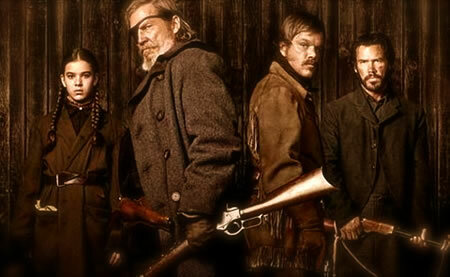 One might propose that the spirit of the old west, represents an attempt to capture the sensibility of civilized life. However, that might not be had out in the older, rougher landscapes of emerging western culture – posters and fonts were used, and used again (and again) nicked and damaged, scratched and scarred — printed on what stock could be brought from the east. The victorian sensibility of poster design — in fact nearly all design — was one of horror vacui: the fear of open “spaces.” Hence, there was a kind of packed visibility — every line, shooting to maximize the space and the messaging; and perhaps, every line being somewhat detailed unto itself. 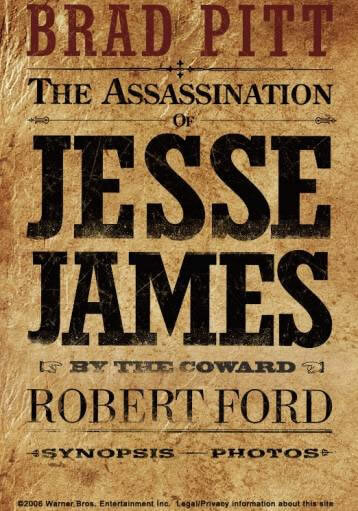 Every character, cut in reverse, stacked and packed in, arranged to push the edge of clarity — letterpressed into cheap stock — the referenced example below, late 1800s. 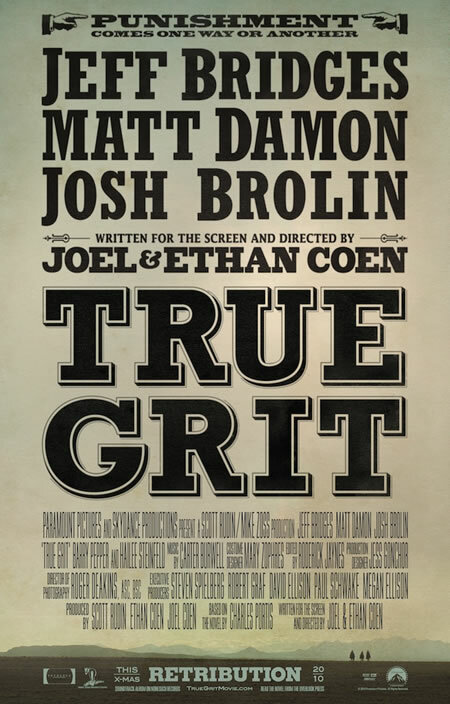 To the nature of that depiction, and the recent expressions of brand — movie logos and promotion, there’s a range which might be summarized in the latest rendering: True Grit, which falls in line with the idea of victoriana and typographic spirit. 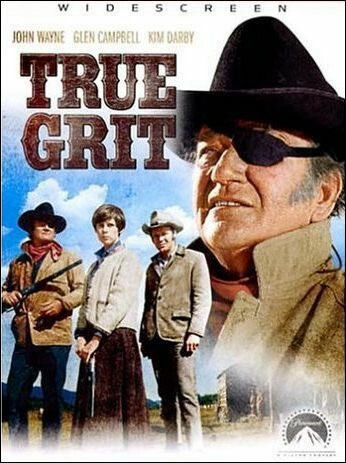 That spirit is first defined in the opening rendering of the story with John Wayne in the lead role of Rooster Cogburn. 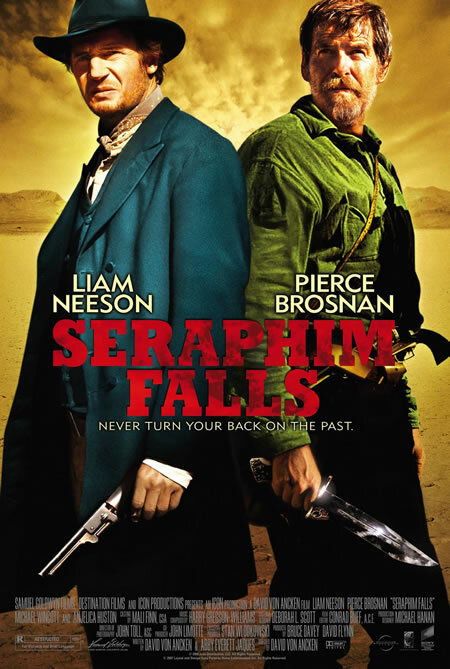 The Coen brothers move to another more modernist rendering, since it might be noted that none of the fonts are typographically accurate draws from the time period. But the look still captures the Victorian sentiment. The key, to rendering, is emotionality — not decoration. The messaging of the type has to bespeak the soul of the story. 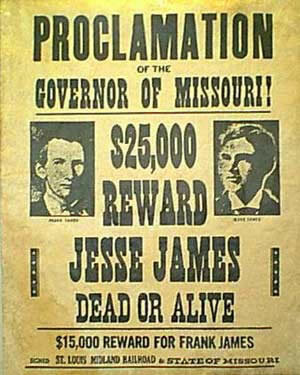 There’s a rougher stride, that speaks to the legacy of the American West — and the western saga. It is distressed, reaching back to the right time, and gathering a sensate expression of intensity, the harder endurance, the hard scrabble, the well-worn, well used, hand roughened — the deep wash of sweat and salt, sand and wind. There is something to this heritage — as a designer, that tradition story told — shining the polish of the old boots, still worn after many years.